Whether walking your dog, shopping at Kroger or on Amazon, or donating food and leashes, you further our success. Whether shopping online or in the store or walking your dog, you can support SAVE Ohio Pets. Have extra collars, leashes and dry food, we can share all of it with our clinic clientele. Our simple wishes include: flea/tick preventive, harnesses, cleaning supplies, and a much-needed microscope. Amazon donates a small percentage of your eligible AmazonSmile purchase to SAVE Ohio Pets. Walk for a Dog by Wooftrax rewards SAVE Ohio Pets when enough two and four-legged walkers use their app and go for a walk. Kroger Community Rewards makes it easy to give by just swiping your Kroger Plus Card! SAVE Ohio Pets #VE612. We are always in need of new and used collars, leashes and harnesses for our clinic patients. In the winter, we need coats or sweaters for our short-haired patients. Dry dog and cat food are always welcome. 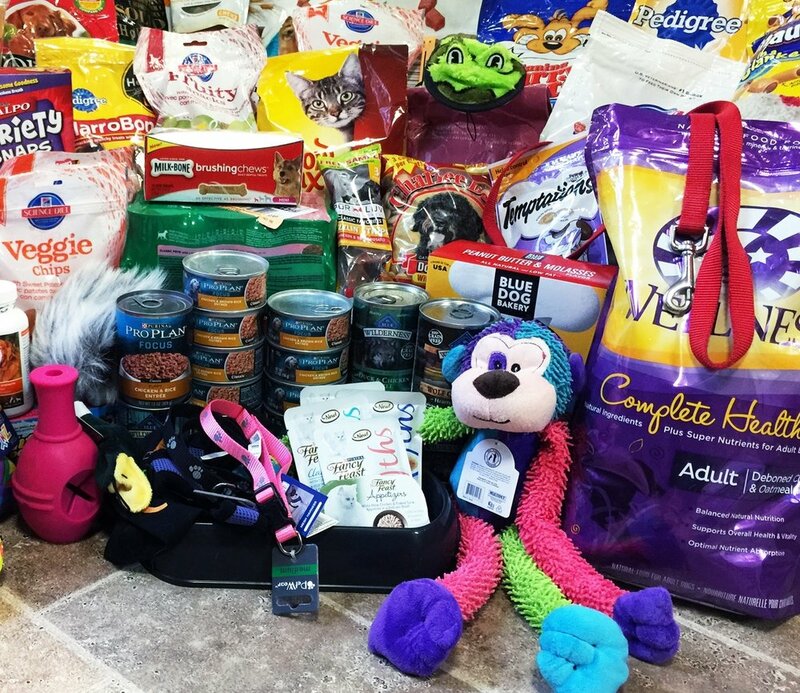 If you are a pet store and have extra food, we would love to share it with our clinic families. Make a one-time or monthly donation to help us fund the monthly wellness clinics and other necessary supplies. Help 50+ dogs and cats by sponsoring a spay and neuter clinic. You'll be promoted as a VIP sponsor on Facebook, Instagram and our site. Look good in our leggings and shirts while helping us to continue our mission of reducing pet overpopulation. SAVE Ohio Pets (SOP) is a non-profit whose mission is to reduce the homeless pet population in Central Ohio through community outreach and promoting spay/neuter, adoption, volunteering, and education.